You’re not the only one who enjoys a breath of fresh air every once and awhile. Aeration with overseeding is an operation that removes soil cores from your lawn. 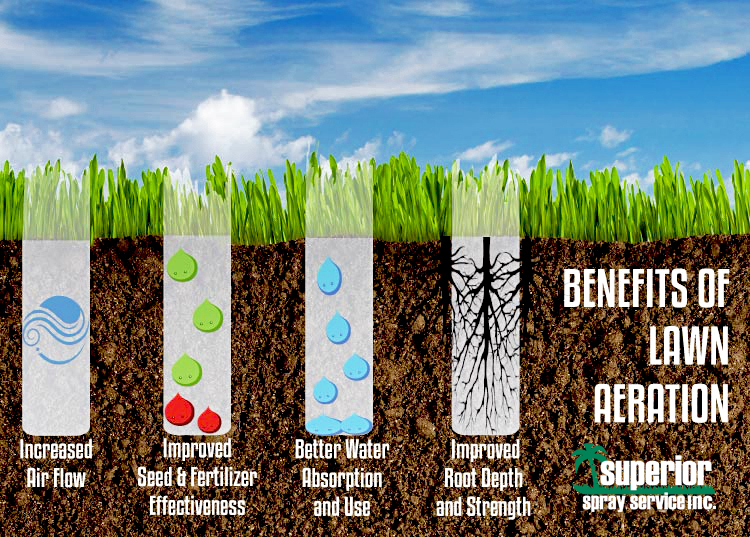 The benefits of aeration are substantial: improves air exchange in the soil, enhanced fertilizer and water uptake, reduces soil compaction, helps grass plants produce a healthier root system and reduces thatch build up. Aeration, as a rule, should be done every other season, usually, fall. When this service is done, it is an opportune time to overseed your lawn. The grass seeds will make their way into the aeration holes ad germinate, producing a thick healthy lawn. Give us a call to see if aeration will work for your lawn.